This was the first game we scored on UT. No word on whether the band members were charged for their seats. It was then known by its original formal title: “Louis, Oh Louis”! 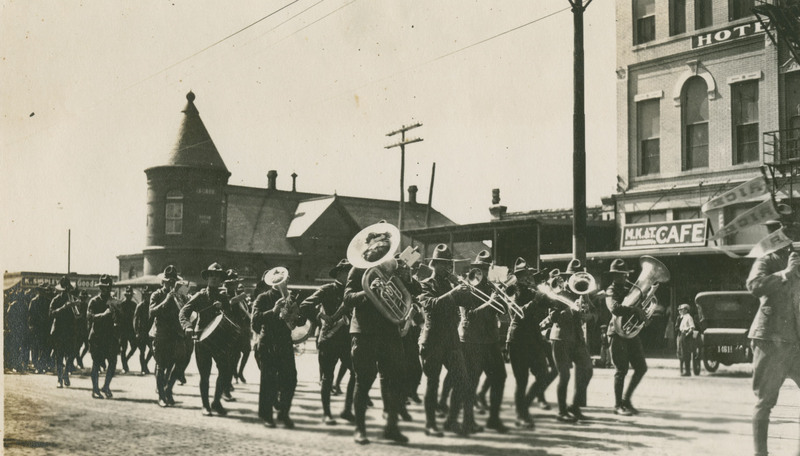 The Oct. 13, (https://scholarship.rice.edu/bitstream/handle/1911/64921/thr19171013.pdf?sequence=1), Oct. 27 (https://scholarship.rice.edu/bitstream/handle/1911/64922/thr19171027.pdf?sequence=1) and Nov. 10, 1917, (https://scholarship.rice.edu/bitstream/handle/1911/64923/thr19171110.pdf?sequence=1) Rice Thresher issues have quite a bit of before-and-after information about this historic game. 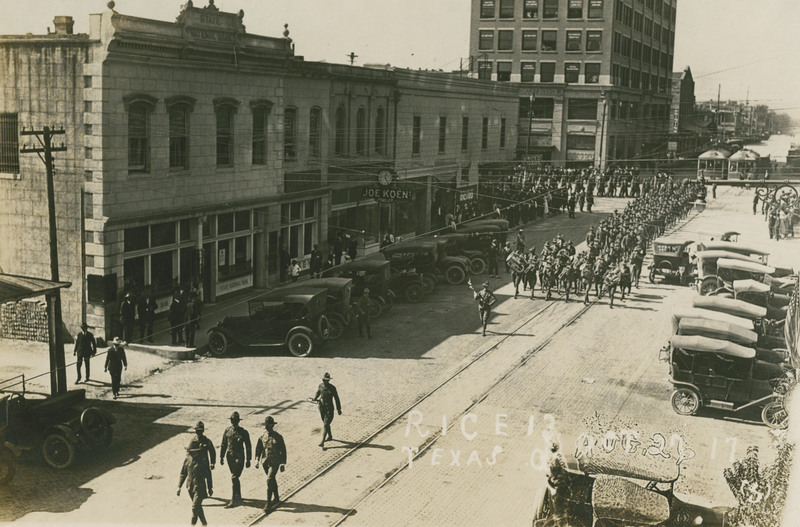 It’s also interesting that the first five Rice-Texas football games were all held in Austin. Rice lost the first three 41-0, 59-0 & 16-2. The ‘Horns didn’t travel to Houston until 1920 (A 21-0 loss for the Owls, whose second win over the ‘Horns wouldn’t come until 1924 (19-6, @Rice). The graphic’s headline was “Lookout, Longhorns.” Sorry for the typo. Apparently there is more to the story about charging bands for admission. It is apparently common practice in college football but the former SWC schools had an agreement not to charge each other until this summer when they decided to basically all follow the same procedures throughout the Big 12. While the news story is primarily about the Texas Tech band, I’ve seen several references to the cost preventing the MOB from going. However, I have NOT seen an official statement from the MOB stating that “we were planning to go but we can’t afford to if they’re going to charge for seats.” Was the MOB planning to go anyway? They usually do only one out-of-town trip a year. I’m told that in the first picture they are coming off Congress Ave., headed East on 6th Street. An article in the Oct. 27, 1917, Thresher said the Rice train took the Houston & Texas Central railroad tracks. According to this article (http://www.greatamericanstations.com/Stations/AUS), its Austin station was located at Congress Ave. & 3rd St., across from the other routing that had been considered, the International & Great Northern. The Rice University Marching Owl Band – The MOB Sadly, it is true. We hope to join the fun in the future, when the costs are not such a big part of the decision.